As the quote itself suggests, hiring is undoubtedly a process which lays down the very foundation for any business organisation, be it a newly born start-up, or a well-established brand like Apple. Not just simply hiring, but hiring the perfect candidate is what makes the whole process perfect. Sometimes, it may seem very easy to hire good people. Outsource, streamline, interview and hire, that’s it. What most recruiters don’t understand is that over the last few years, due to the sorted preferences and priorities of the real talented candidates, the whole recruitment scenario has shifted from recruiter’s side to candidate’s side. It’s a complete candidate driven market out there. In this situation, it becomes really crucial for recruiters to alter and update their recruitment strategies in order to engage and hire the best talents. Now the real question is how to do that well-established? Well, worry no more. This article will present 7 awesome hiring hacks that can help you attract talented young individuals efficiently and take your company to the unexpected heights of success. Using social media channels for recruiting, or which is most popularly known as social recruiting, is yet another amazing hiring hack that every company should adopt. It basically revolves around the use of various social media networks like Facebook, Twitter, LinkedInetc. as well as various websites of blogs, forums, job boards to find, attract and hire great talents. As companies begin to Target millennials, Social recruitment is increasingly becoming popular. Social recruitment offers so much beyond just posting jobs on social media networks for a company. It not only helps in search of potential candidates but also helps and build a relationship with them and motivate them to apply for a job. Social recruitment is one of the best recruitment strategies that can revolutionise recruitment. 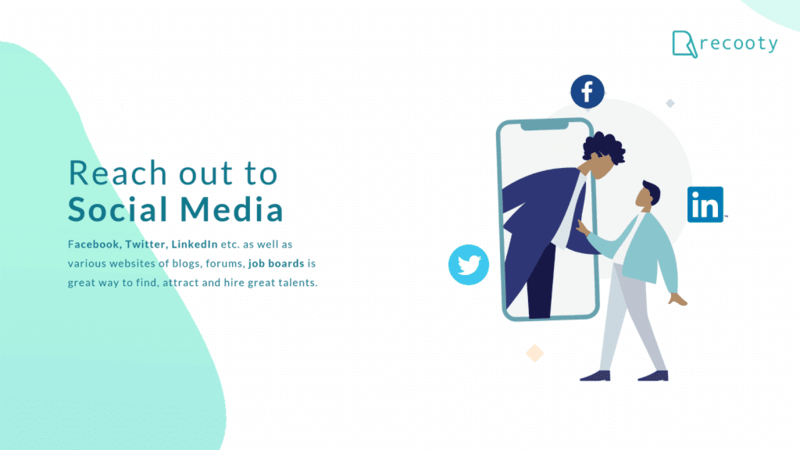 Using social media channels for recruiting, or which is most popularly known as social recruiting, is yet another amazing hiring hack that every company should adopt. It basically revolves around the use of various social media networks like Facebook, Twitter, LinkedIn etc. as well as various websites of blogs, forums, job boards to find, attract and hire great talents. As companies begin to Target millennials, Social recruitment is increasingly becoming popular. Social recruitment offers so much beyond just posting jobs on social media networks of a company. It not only helps in search of potential candidates but also helps and build a relationship with them and motivate them to apply for a job. Social recruitment is one of the best recruitment strategies that can revolutionize recruitment. Universities and colleges are literally the hotspot for grabbing the attention of great talents. Students during and at the end of their graduation or post graduation are quite full of enthusiasm and willingness to work and brainstorm the system with their new ideas. 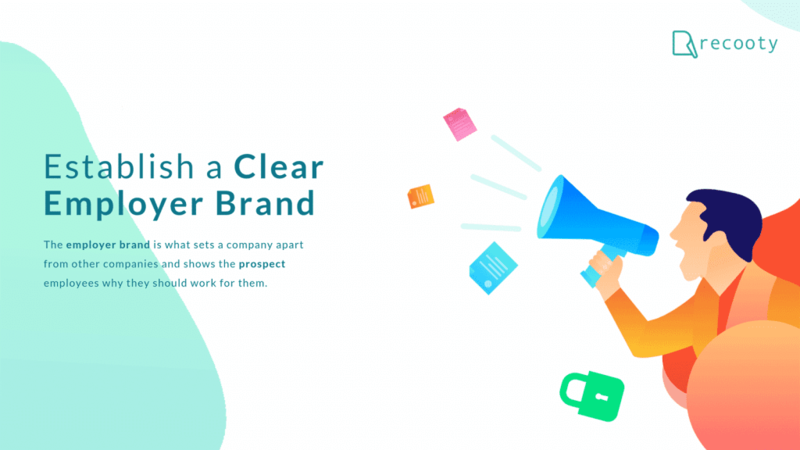 In this scenario, one of the best way to mark the presence of any company and make it visible to potential employees is to get engaged in their respective academic circles. 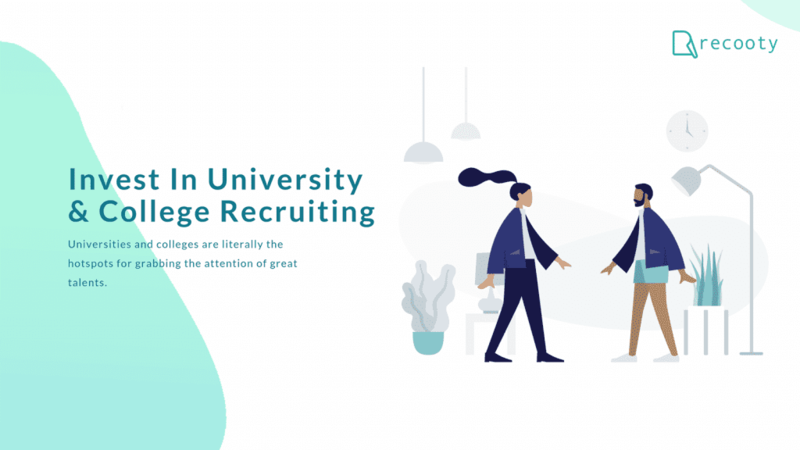 Recruiting from colleges and universities can effectively help recruiters to discover new and upcoming talents for their company. Also engaging students through internship opportunities is a great way to grab their attention as well as commitment. This can be done in many ways like attending career fairs, volunteering to speak at events, etc. A lot of time and other resources can be effectively saved by investing in various recruitment automation tools. Recruitment automation tools are simply software those are designed to automate the recruiting process. 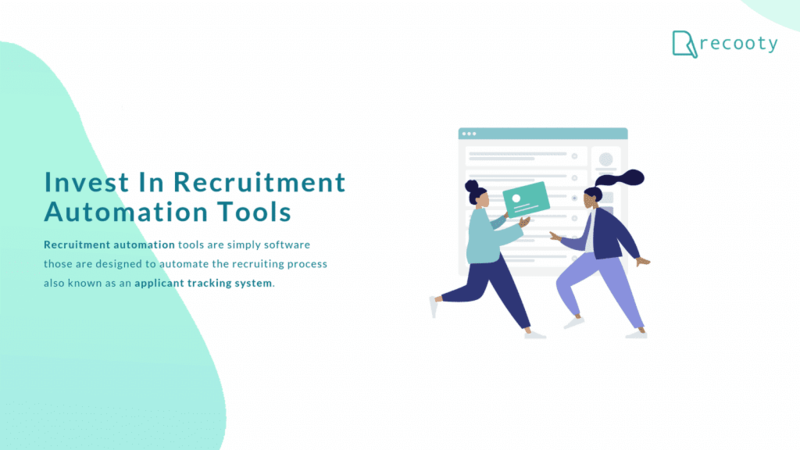 An Applicant Tracking System is the most commonly used, all-in-one recruitment automation software that is used by many recruiters to optimise their hiring process. An ATS is an amazing tool that automates a number of recruiting tasks that is too hectic to be done manually like posting jobs on multiple sites, monitoring and streamlining applications and resumes and interview scheduling. An ATS does all these tasks automatically, making the hiring process faster and more efficient. Hiring great candidates surely become easy with automation tools like ATS but recruiters still should make great efforts to ensure they’re not shooting in the dark! As a popular business quotes says, you can’t manage what you don’t measure, it becomes extremely crucial to adopt a data-driven and HR analytics recruitment. 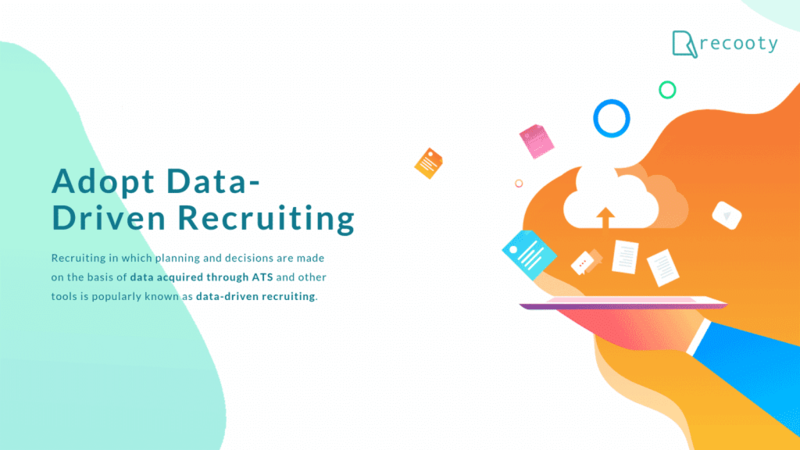 Recruiting in which planning and decisions are made on the basis of data acquired through ATS and other tools is popularly known as data-driven recruiting. Using this strategy can help recruiters get great insights on the weak parts of their hiring process which needs to be fixed. It can also prove to be time and cost efficient and can effectively increase the quality of hire. To put in simple words, candidate experience is simply the feedback of a company given by an employee. It is the overall perception of a company’s recruitment process which is made by current, past and future candidates. As the name itself suggests, it is solely based on the candidate’s feelings, behaviours and attitudes that the candidates faced during the whole recruiting process, right from the resume screening to on-boarding. It is really important for a company to have a good number of positive candidate experience because happy and satisfied candidates will most likely accept the job offer, reapply in future as well as recommend it to other valuable potential candidates for other jobs. It is really important for recruiters to think of the interview as a two-way process. While they are interviewing candidates, they are also being interviewed by them. Recruiters need to sell the job as much as the candidates need the job. 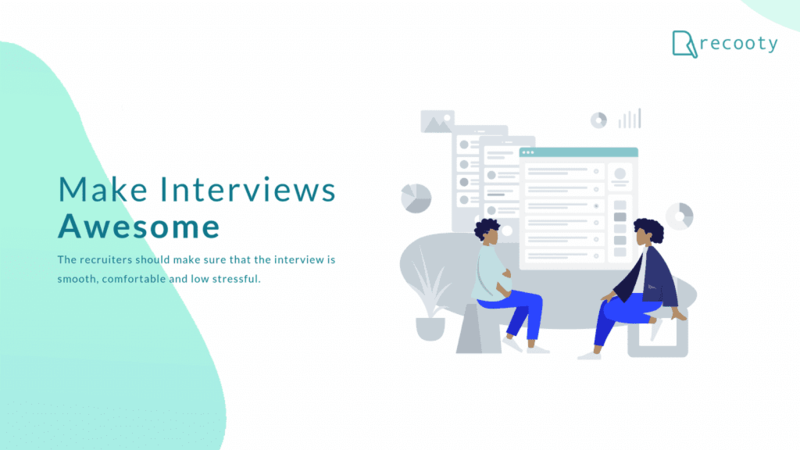 Doesn’t matter if the candidates are being interviewed remotely or in person, recruiters should make sure that the interview is smooth, comfortable and low stressful. The questions should be interactive and framed in such a way that the candidate’s full potential is explored. Also, the candidates should be motivated to cross question during the interviewing process. Interview maybe one of the last processes of the hiring process, but it is the most important one and must be paid a lot of attention.